OUR MISSION is to continue to search for new ways of thinking about teaching and learning and what it means to be well educated today, not yesterday. “If you want to teach people a new way of thinking, don’t bother trying to teach them. Instead, give them a tool the use of which will lead them to new ways of thinking”. We would like to encourage all students and their families to ‘play’ and learn outside of the classroom. Find fun games that also teach and utilize them to help a child learn. 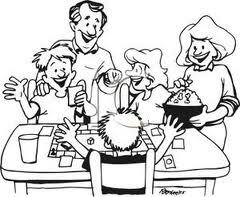 There are many games that will stimulate a child’s brain. We have shared some of them on this site. Look for Tangram and Pancake games on the right column of our website.